Yeast that is activated in warm water before it is mixed with the flour and other ingredients to form dough, is the simplest leavening method for preparing yeasted breads. 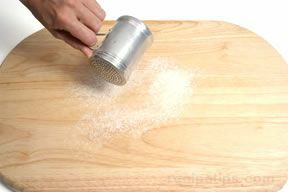 This method, known as the direct or straight yeast method, is the leavening method most familiar with home cooks. 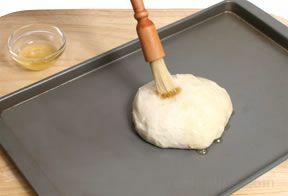 The first step in preparing dough for breads using the direct or straight yeast method is to activate the yeast. 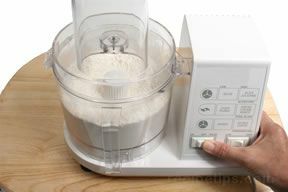 When using fresh cake yeast or active dry yeast, the yeast must be activated in warm water before it can be added to the flour. The temperature of the water is important for proper activation. If the water is too hot, the yeast (which is a living organism) will die. A temperature of 140ºF is usually sufficient to kill yeast cells. Cool water will decrease the growth of the yeast, but if the water is too cold, the yeast cells will become dormant (usually below 50ºF). The yeast will reactivate once the temperature is increased. The proper water temperature differs depending on the source of the information, but most sources agree that the water should not be cooler than 95ºF or warmer than 115ºF. The temperature can be checked with an instant read thermometer, but if a thermometer is not available, it is better to err on the side of cooler than warmer - using cooler water will not harm the yeast; it simply slows it down. Quick-rising active dry yeast does not have to be activated in warm water prior to use. 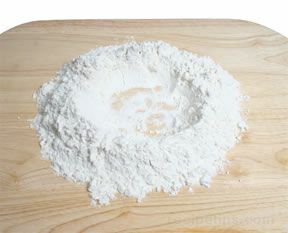 When mixing the ingredients for dough, it can be blended with the flour and other dry ingredients before the liquid is added. 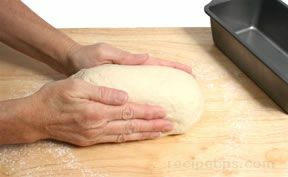 The temperature of the kitchen or room in which the bread is prepared also affects the activation rate of the yeast. The yeast will activate at a faster rate in a very warm room and a slower rate in a cool room. On the coldest days, it is beneficial to place the yeast and warm water mixture on top of the preheated oven to keep the yeast at a more constant temperature while it activates. 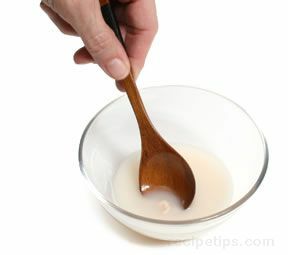 It is important to remember that metal bowls and utensils should not be used to prepare yeast because a reaction may occur between the metal and the yeast. Below are descriptions of how various forms of yeast are activated for use in bread making. 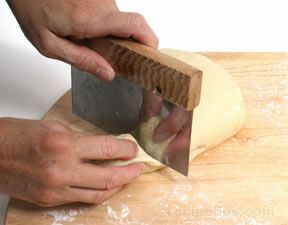 When using fresh cake yeast (also known as compressed fresh yeast) for a bread recipe, the yeast should first be crumbled into a bowl or it can be broken up using a wooden spoon. 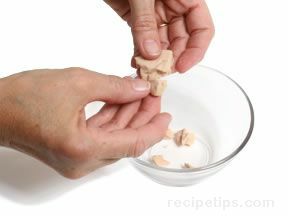 Use the quantity of yeast specified in the recipe. 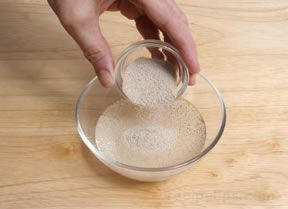 Add the quantity of warm water specified in the bread recipe and stir until the yeast dissolves into a uniform paste. 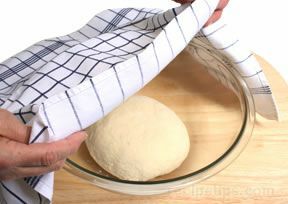 The bowl should be placed in a warm location for several minutes before the yeast mixture is added to the flour. 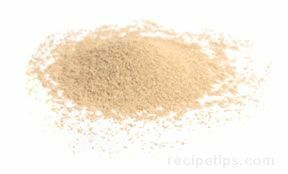 Active dry yeast comes in a granular form and is usually available in small packages. 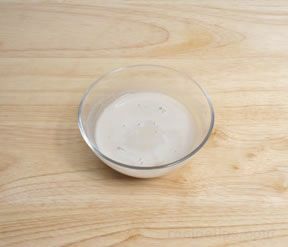 To prepare the yeast for bread making, pour some warm water (the quantity specified in the bread recipe) into a bowl. 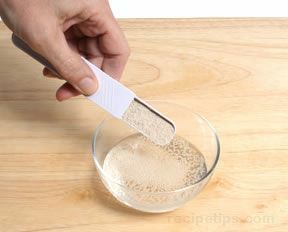 Add the specified quantity of active dry yeast to the water. The yeast granules will slowly sink. Place the bowl in a warm location for about 5 to 10 minutes. The liquid should begin to bubble and foam. 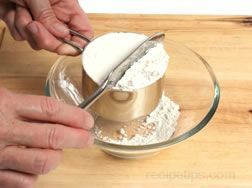 Do not allow the yeast to sit too long before adding it to the flour or it will become a less effective leavening agent. 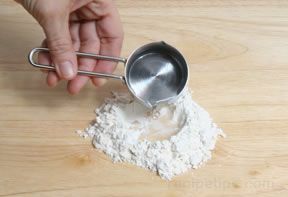 Stir the liquid with a wooden spoon and add it to the flour. Like active dry yeast, quick-rising active dry yeast is also a granular product available in small packages. 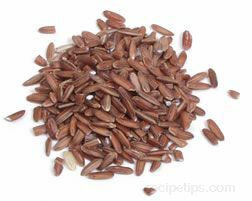 It can be added directly to the flour and other ingredients without having to be activated in warm water first. 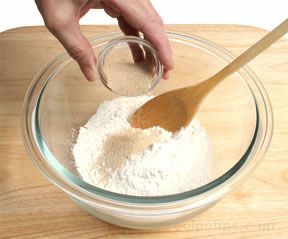 Simply blend the specified quantity of yeast with the other dry ingredients in a large bowl. The yeast will activate as soon as the liquid ingredients are added. 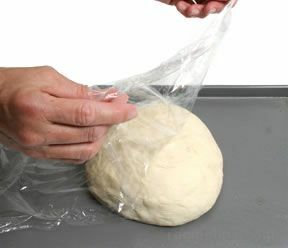 When water is the only liquid used in the bread recipe, the temperature of the water can be warmer (usually 115º to 125ºF) than the temperature of the water used to activate other types of yeast.